Infections Author Sean Schubert Interviewed on 49 Writers | We Zombie! Mariah Oxford of the Alaskan writers blog, 49 Writers, has a fantastic interview with Sean Schubert, the creator of a zombie apocalyptic series set in Alaska, with an outbreak occurring in Anchorage. 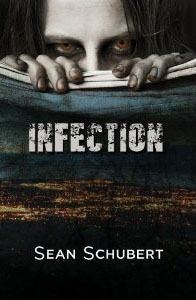 The first book in the series, Infection, has been published and the second book, Containment, is due out soon. The books sound great and I can’t wait to read them because it sounds like these aren’t your typical zombies – when they turn they have all of their physical abilities in tact so they start out fast and strong until they begin to decay and slowly lose them. The interview is well done.